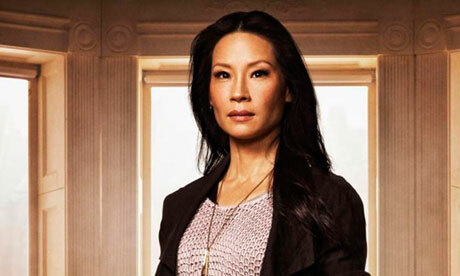 Lucy Liu&apos;s Elementary character is an Asian-American television anomaly. She is neither a fanatic fighting-machine nor a quiet, subservient woman — and sadly, that makes her revolutionary. Well-rounded, dynamic, complex and just plain real Asian-American characters in American television and film are few and far between. We are accustomed instead to seeing Asian-Americans depicted as awkward nerds, untouchable geisha girls or oddball and asexual men — not to mention the growing prevalence of the "model minority" archetype. The depictions are lazy and repeated ad nauseum; stereotypes used as punchlines. With 18.9 million people of Asian decent living in the U.S., Hollywood would be wise to retire the joke. Stereotypical portrayals of Asian-Americans are so deeply rooted in American pop culture that an Asian character walking onto the screen is often enough to elicit a laugh. The comedy is built around a variety of archetypes, most popular among them the Fu Manchu trope of a crazed Asian criminal master, like The Hangover&apos;s emasculated Leslie Chow, who the hyper-masculine "wolf pack" see as barely more than a joke. 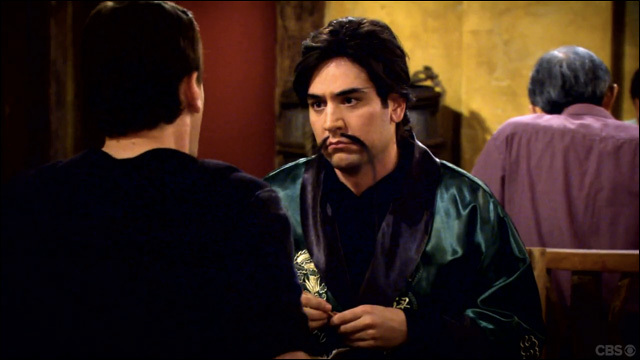 A now famous episode on How I Met Your Mother also went the way of Fu Manchu, relying on yellowface for its punchlines. All Asian actors were extras. Creators behind these works, deemed as racist, too often plead ignorance. How I Met Your Mother co-creator Carter Bays said the yellow face episode was meant to be a "silly and unabashedly immature homage to kung fu movies." 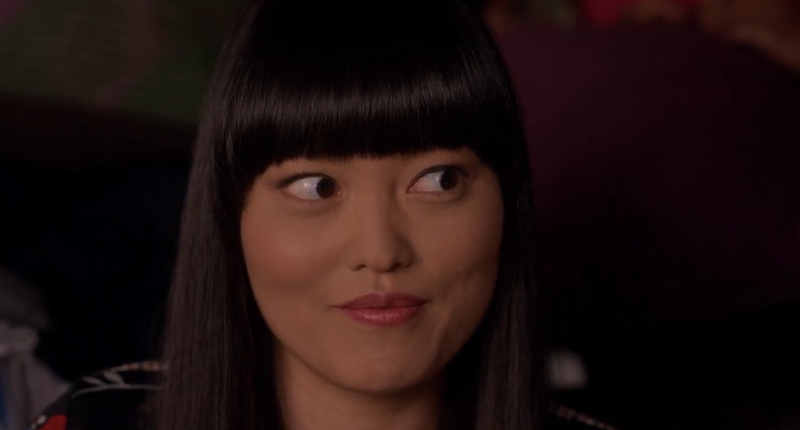 The orientalism can also take on subtler form as it does with the character Lilly Okanakamura in the movie Pitch Perfect. Lily (by the way Hollywood, there are Asian women not named Lily) is the demure and quiet weirdo of the group — another favorite Hollywood Asian depiction — a stark contrast to her white and black counterparts. The "model minority" trope is yet another on growing display. The basic premise is that Asian-Americans are overachievers, constantly pressured by their strict parents to pursue success and stability — the grown up version of that is that they&apos;ve become doctors. Think Sandra Oh on Grey&apos;s Anatomy, or B.D. Wong on Law and Order: Special Victims Unit. For some reason the urgency surrounding the necessity for realistic, well-rounded and honest depictions of Asian-American characters never quite reached the fever-pitch that it has for other minority groups: What better a time than now for that fervor to escalate? A recent UCLA study found that movies with diverse casts actually generate above average performance at the box office and diverse TV shows excel in ratings — meaning, more Asian-American characters would presumably lead to more business. And isn&apos;t that what it&apos;s all about in Hollywood anyway? If you ask some in Hollywood, the dearth of Asian characters is not for lack of trying. Community creator Dan Harmon said he wanted an Asian or Latina for a major role on the show but ended up casting Alison Brie because apparently there just weren&apos;t any Asian or Latina actresses to be found: "We looked at 8 million ... and came up with zero." Look also to the 2008 card-counting movie, 21, based on Jeff Ma, who was a member of the MIT Blackjack team. In the movie, he gets renamed Ben Campbell and is played by actor Jim Sturgess. There are glimpses of progress in breaking these misrepresentations. Both John Cho and Harry Shum Jr. are seen in various non-stereotypical roles. Grace Park and Daniel Dae Kim are cool, tough cops in Hawaii Five-0 and the upcoming sitcom, Fresh off the Boat, will feature an Asian-American family in the spotlight. The show is based on the memoir by Chinese-American celebrity chef Eddie Huang. Huang happens to have worked as a stand-up comic and marijuana dealer, and also loves hip-hop — all very unstereotypical. What Hollywood needs to get is that this prioritization of complicated, complex and unique Asian characters is vital. This generation, more than any before it, is devoted to inclusivity, progressive thought and fair representation. In 2014, there is no reason for stereotypes to be the defining portraiture of any group of people and merely being Asian shouldn&apos;t be the grounds for building a joke. There are only so many times a Fu Manchu moustache can actually be funny.